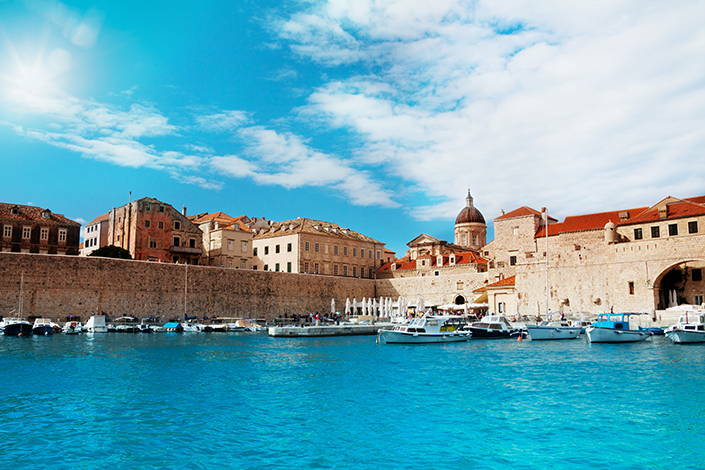 If sailing in Croatia is not on your wish list, then it should be - and here is why. You have heard us say it all before. This doesn’t make it less true. 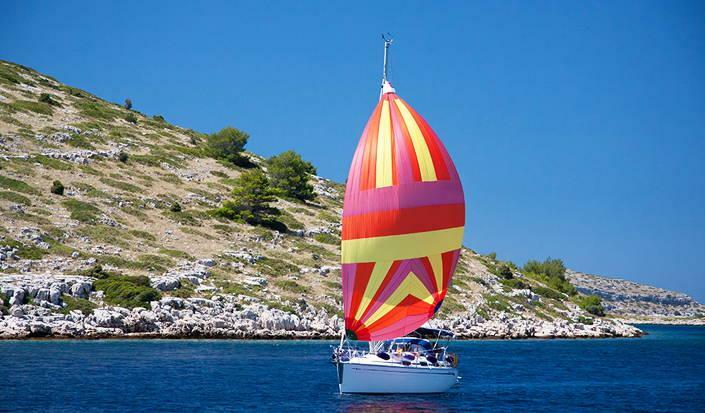 Sailing in Croatia is an unforgettable experience. Cruising the island-studded Adriatic sea, somewhere among its 1000 or so islands, gliding through blue-green waters under bright sunshine. Sailing in a country gives a different perspective of its land and people and Croatia is simply made for sailing. Faraway magic lands can be reached with the quietest coves; modern marinas attached to humming, cosmopolitan cities provide a safe harbour to unwind and take your mind off the boat for a night or two. Mostly friendly winds and easy line-of-sight navigation offer all that is needed for a chilled-out sailing experience. 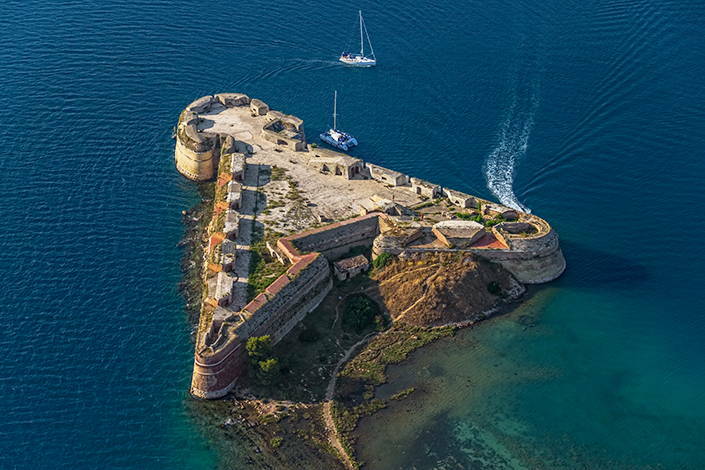 If you prefer something more challenging, such sailing areas can be found off the smaller, barren 100-island archipelago of Kornati, in Kvarner Bay, the Velebit Channel and around the island of Vis. High season in Croatia is busy. There are crowded, umbrella-lined beaches and cities with millions of tourists and locals on holiday; all moving around at the same time. If you’re looking for something quieter, wilder and more intimate, then what better way to escape the crowds than sailing off on a yacht to places only accessible by boat? Even though sailing is a popular pastime in Croatia, you can always find a cove tucked away somewhere where you will feel as if you are the only souls on the planet. You might meet a few day trippers form the mainland, but you will have the sunset pretty much to yourself once they have gone. Ask anyone who has been to Croatia and they will enthuse about the clarity of the water. Reputedly the clearest water in the Mediterranean, visibility can reach up to 15m, - great for a visual when dropping your anchor! 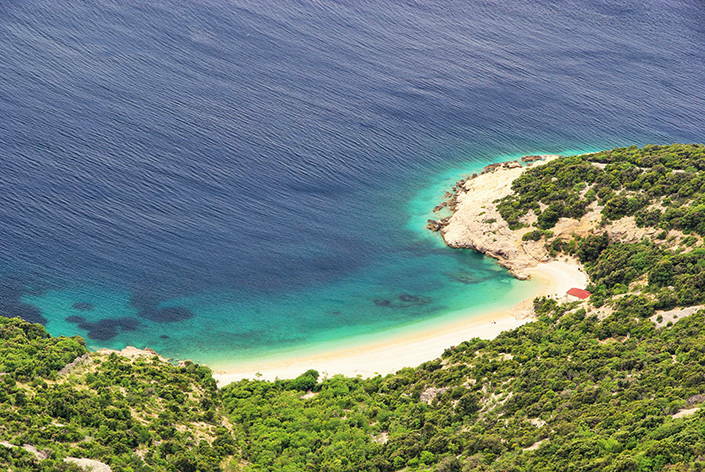 Every cliché you could ever think of applies to the waters of the Adriatic Coast, with good reason; Croatia regularly tops best beach and cleanest waters lists. The temperature of the sea in the summer reaches a pleasing 29C, there are not many waves, and there are no sharks or particularly dangerous species to worry about. Since you will be, literally, on it you can leap off your boat anytime into the practically transparent water. Croatia has one of the oldest European cultures, heavily influenced by both the Greeks, and the Romans. As a result there is a plethora of ancient architecture everywhere. Palaces, arenas and old city walls are found in many ports. Captivating medieval cities, noblemen’s fortresses and ancient city walls add a charm to the coast and islands that is spellbinding. You can visit some of the most incredible cathedrals in Europe. From Romanesque and Gothic to Renaissance and Rococo, the coastal cities are full of such treasures. Worth exploring on a day in port. The UNESCO's World Heritage List includes seven sites in Croatia showcasing its rich cultural legacy. The nautical infrastructure in Croatia is excellent. With around 56 well-organised marinas which together offer 16000 sea berths and 8500 berths on land. Apart from marinas, there are also many private sailing clubs and ports for members only. 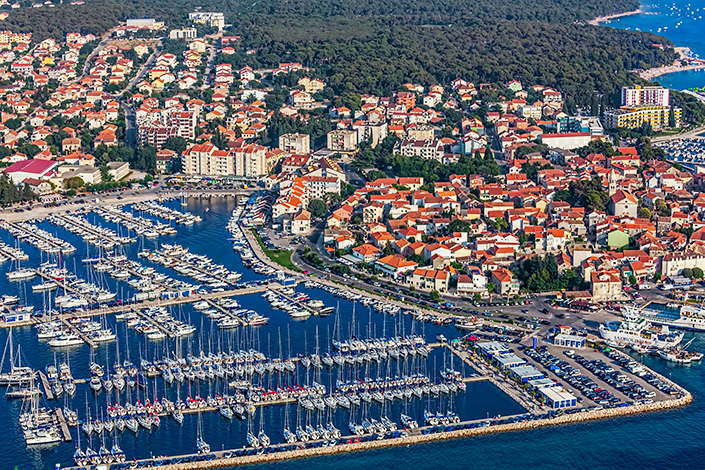 The marinas in Croatia are located mostly in Dalmatian coastal towns, conveniently close to airports and other amenities. Charter boats are available in virtually all of these marinas and most marinas have a dry dock, should you need a few repairs or have an emergency while on a sailing holiday. Reputable charter companies and friendly, helpful port authorities complete the picture. 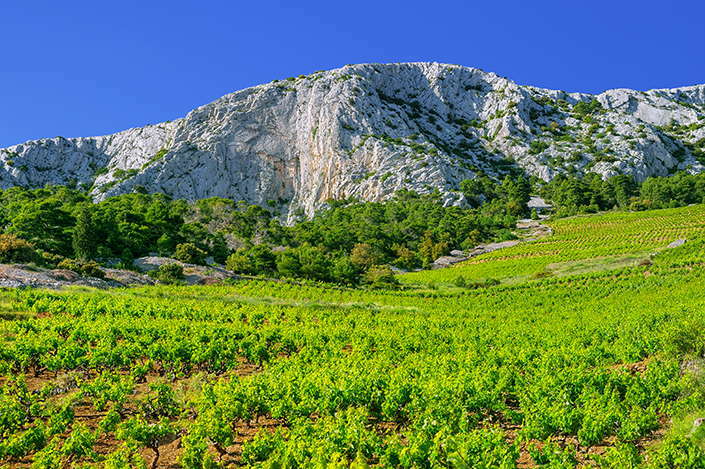 See mountainous ridges giving way to vineyards that line the rocky coastline. Gaze out onto the islands dotted as far as the horizon, some lush and green others barren with a starker beauty. Marvel at the colours of summer, the perfection of nature and the medieval stone walls and buildings. Watch the sunset (or rise) over the water. Taste Croatia! Differing by region, it is Mediterranean cuisine with splashes of Italian, Greek and Slavic. Savour the spices and the freshest ingredients washed down with world class wine that will entertain your palette. Relish delectable traditional meals wherever you are. Feel the wind on your face as the sails fill out or the coolness of the water on your skin as you dive off the boat. Touch the hot pebbles on the beach and sink your bare feet into white sand. Bask in the warm sunshine and let it warm you right through. Smell the lavender fields in Hvar, the grilling meat and fish on the coals, the fresh sea air as you sail out into the open. Wake up to the aroma of coffee being brewed in the galley before you set off for an early morning cruise. Listen to the waves lapping on the boat, the halyards banging on the mast, and the harmonies of the Klapa groups, singing in the squares. And let your intuition guide you to memorable moments…..